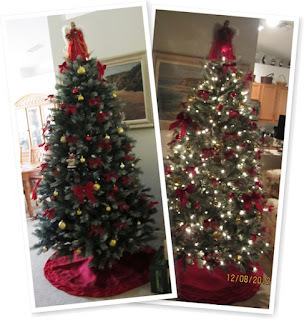 Pinay WAHM: Tree is Up! That's our tree this year. We were finally able to take it out of the attic and put it up over the weekend. The little one was the one that decorated it...most of it anyway. It took her a few hours to put it all together.